My husband and I never dreamed that having 3 children could be so challenging at times. One of the main things we struggled with were our children not finishing their dinner. The other thing we struggled with was bedtime. For some reason, our children refused to stay in their beds and remain quiet even if they could not fall asleep right away, resulting in all 3 children (plus 2 parents) not getting enough sleep. 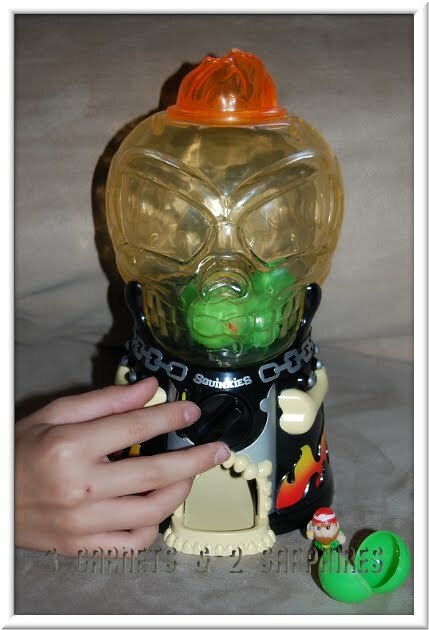 Both these things were huge sources of stress for both the children and us. We had tried all sorts of things to make both of these situations better, but the only thing that has truly worked for us is a trophy system. This system has led to our children genuinely making an effort to behave and finish their dinners and to be good at bedtime and breakfast about 80% of the time, which is a huge improvement. How to create a trophy reward system . . .
1) Buy an inexpensive plastic trophy to serve as the symbol of the reward. We bought ours at our local Target in the dollar section. You can also find them in party supply stores. 2) Make a prize box filled with small prizes. The winner of each trophy will get to choose one prize out of the prize box. My children were introduced to Squinkies a little over a year ago. Back then, I thought what a great toy to be used for small rewards, but they were mostly geared towards girls, which would have left out our two sons. 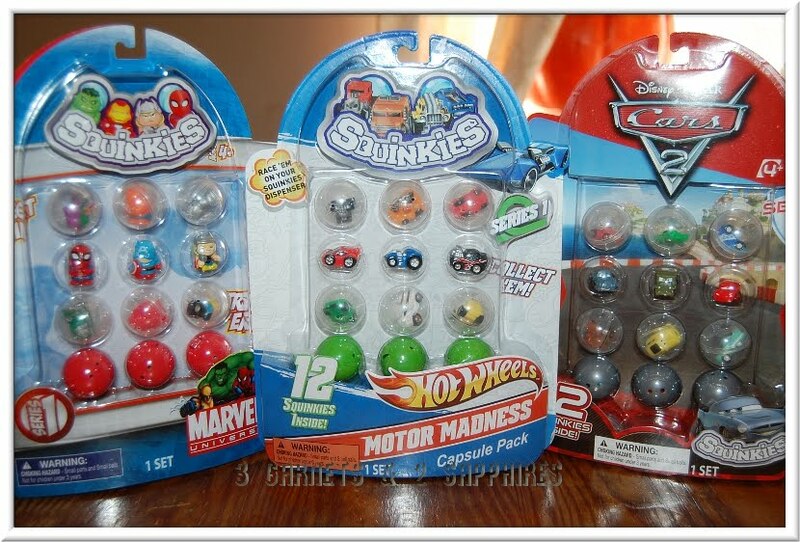 Now that there are new Squinkies for boys (like Hot Wheels, Marvel, and Disney Pixar Cars 2 Squinkies), we have included Squinkies into our prize box. They especially work great for our 7-1/2 year old son, who loves collecting things. Other items we have in our prize box are temporary tattoos, pencils, small notepads, puzzle books, small craft kits, and other party favor-type items. At first we started with items that were small enough to fit inside the trophy, but then we branched out to include larger items. When we did this, we still gave the winner the trophy, but it became less important to the child since the prize was not inside it. 3) Give your children something special to hold their prizes. This step is optional, but especially recommended for items that are collectible, like Squinkies, trading cards, stickers, etc . . . so that your children can easily see how much they have earned by being good and can feel proud about it. 4) Be sure your expectations are clear about how to qualify to win the trophy. It is very important that your children know what needs to be done to win a trophy. It is also important to remind them that sometimes no one will win the trophy. Here is the criteria my husband and I came up with for our two trophies . . .
Say thank you to the person who prepared the food. Finish all the food on their plate, with few exceptions. Aside from general conversation, must not fool around, misbehave, or do anything to distract themselves or their siblings from eating. Place their dishes next to the kitchen sink when they are done eating. If all the above requirements are met by all the children, then the most well-behaved child wins the trophy. Brush their teeth, use the potty, and get into bed when told it is bedtime. Stay quietly in their beds (even if they cannot fall asleep), with the exception of needing to use the potty and any emergencies. Get out of bed, brush their teeth, and get dressed in the morning without a fight. Finish their breakfast and milk without distracting themselves or their siblings from eating. Place their dishes next to the kitchen sink when done eating. I think that the trophy system works best if you have more than one child. There is a small element of competition. Although we have had children disappointed that they did not win, they are always happy for the child who does win and wants to see what prize they picked out of the prize box. Our children are 4-1/2, 4-1/2, and 7-1/2 years old. You may need to alter the rules and the type of prizes you use according to your children's ages and their interests. 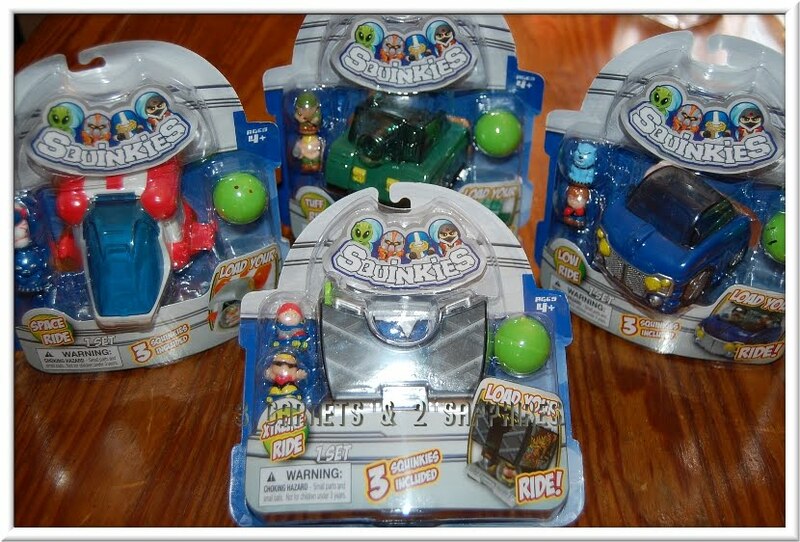 Visit Squinkies.com to learn more about these fun to collect toys for boys and girls. If you end up trying a trophy reward system in your household, I would love to hear how it goes. If you come up with something that works even better, I would love to hear about that as well. 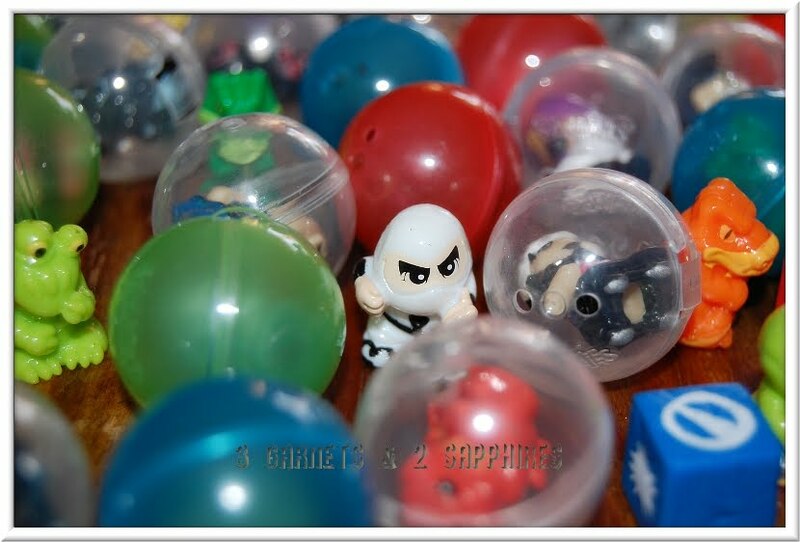 Thank you to Squinkies for providing complimentary product samples for us to use in this activity.